Decorating and organizing our hallway/landing is proving to be one of the toughest challenge ever! I guess it is because it needs to serve so many functions from feeling welcoming to displaying art to storing gazillions of coats, shoes, hats, scarves, school bags as well as be an office for me! I hate clutter and with 2 kids in the house needless to say I have my job cut out! So I am on a mission to find some sort of "wonderstorage" that the kids will actually want to use rather than dump everything on the floor! Optimistic? 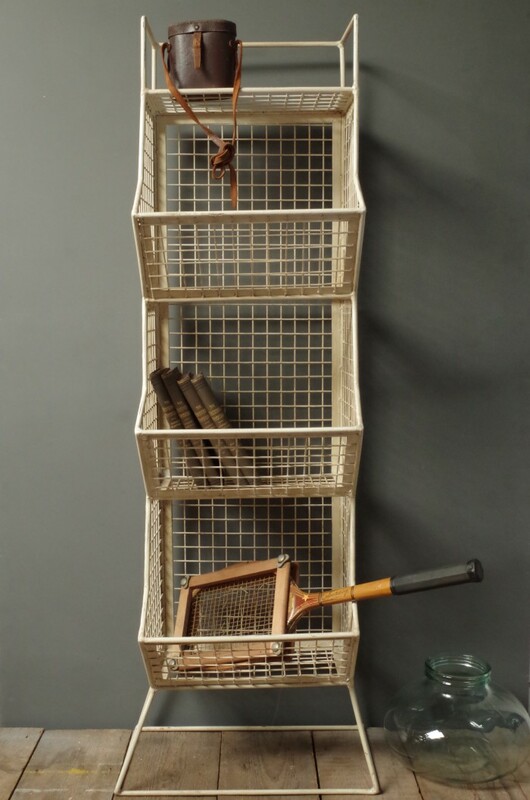 maybe but I spotted these crates from House junkie and I think they might just do the job! Also found this awesome storage rack to keep all the clutter contained. It is from Vincent and Barn and has a real industrial feel to it. As for the colour of the walls,I will be painting swatches tomorrow but it will definitely be one of Abigail Ahern scrummy shades of dark, Rivington blue being a firm favorite!